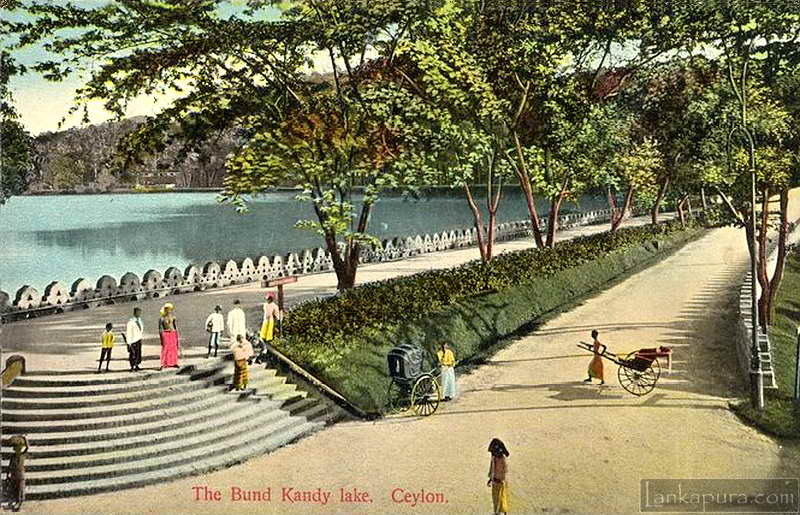 Kandy Lake is a lake in the heart of the city of Kandy, Sri Lanka. 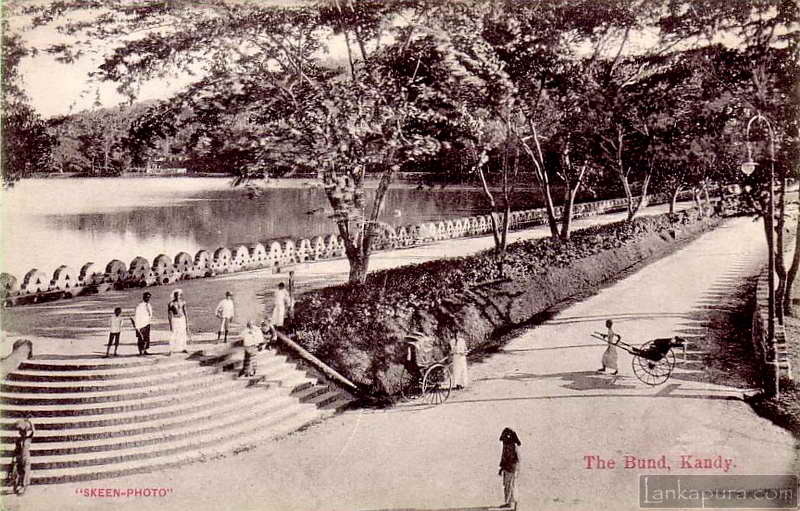 Built in 1807 by King Sri Vikrama Rajasinha of Sri Lanka next to the Temple of the Tooth. Hand-coloured photograph (manually added colors to a black-and-white photograph), hand-colouring is also known as hand painting or overpainting. Usually, water-colours, oils, crayons or pastels are applied to the image surface using brushes, fingers and cotton swabs. Hand-coloured photographs were most popular in the mid- to late-19th century (1850s–1900) before the invention of colour photography. This is wonderful, is this in front of dalada maligawa? but I can’t remember these steps! im a national tour guide lecturer..its a useful website.